Seven years later, SaaS is a billion-dollar industry. 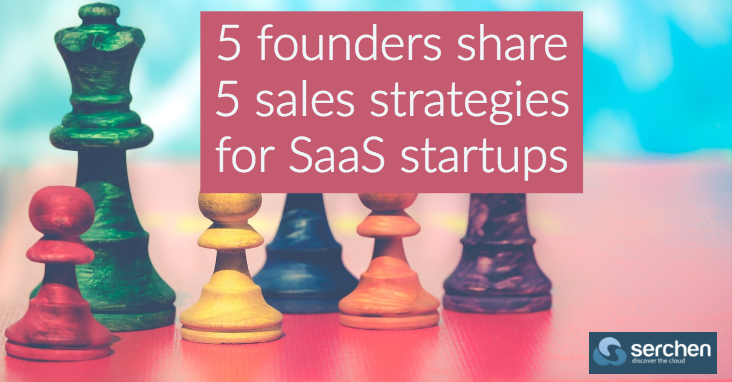 But to lead the pack in SaaS, founders and startup teams should master sales. So, I spoke with five founders on how to sell a SaaS product based on their experience over the years. With over 12,000 users, Funnel CRM is a sales tool helping businesses, agencies, and freelancers. According to the company’s CEO Muhammad Gohar Shafique, Quora is one of the most useful resources to understand customer pain points. Whenever Shafique maps out a new content strategy, he usually goes through Quora to find the problems that his prospective buyers are asking. From there, he thinks of solutions to the problem and answers them on the site. The opportunity is simple: getting traffic to your content by commenting on questions that your content actually answers. Step 1: Log in to SEMrush and do a search on Quora. Step 2: Navigate to the “Organic Research” tab under “Domain Analytics.” You’ll now have a list of top-ranking questions on Quora. Step 3: Run a search for a keyword related to your content (e.g. “SaaS”). Step 4: Sort the results in descending order by search volume. Another simple hack is paying attention to customer support. “We provide 24-hour support and trained our support team to respond to messages within two minutes,” says Shafique. This approach led to a 43 percent increase in leads. Y Combinator-backed Cashfree is a technology platform digitizing both inward and outward bulk payments for 3,000+ merchants and brands. A strategy that worked well for them, according to its co-founder Akash Sinha, is signing up the largest businesses in a given sector. “We spend most of our energy in getting the largest player, and once they come onboard, the rest of the players follow,” he says. It’s also important to talk with the right decision makers. If your product is helping businesses improve their customer experience, for example, then talk with a product or marketing head. Scheduling meetings with department heads is way more helpful. But the downsides of this strategy is that it requires patience. Since bigger clients take longer to make decisions, your overall momentum may take a hit. Sinha’s advice is to chase both bigger and smaller prospects at any point in time. While it’s alright to focus on the larger companies, don’t ignore the smaller clients completely. SendX is a remarketing and retargeting SaaS solution that uses email, browser push notifications, and social media ads to drive more revenues. Its founder Varun Jain shares their sales strategy: Before a product demo, the team researches about the prospect by looking at their latest news or events and their sessions on SendX. This allows them to understand the prospect’s background. Previous Previous post: JPMorgan Licensing Its Trading Software: Could It Be The Next Big SaaS Company? Next Next post: How can you land a big client as a SaaS that no one has heard of?